What if I told you we were about to get a brand new arcade-style, 2v2, over-the-top NBA game in the year of our lord 2017 for only $20? Well, I’d be telling you the truth, and I’d be telling you about NBA Playgrounds. Anybody who knows me well knows my favorite sports games of all time are NBA Jam and NBA Street Vol. 2. NBA Playgrounds is the next in the line of arcade basketball succession, coming soon from Saber Interactive – a developer who has literally made zero games I’ve ever heard of before this one. That being said, their tease of “hundreds of over-the-top dunks and moves” is enough to get me intrigued. I’ve still get my SNES and NBA Jam Tournament Edition at home, and I’m always gonna be immediately sold on more arcade hoops. After all, I’m legit garbage at NBA 2K, so this is where I’ll shine. Plus the fact that this is coming to Nintendo Switch NEXT MONTH has me borderline foaming at the mouth, as this might truly be one of the first games that dominate my living room when friends come over. 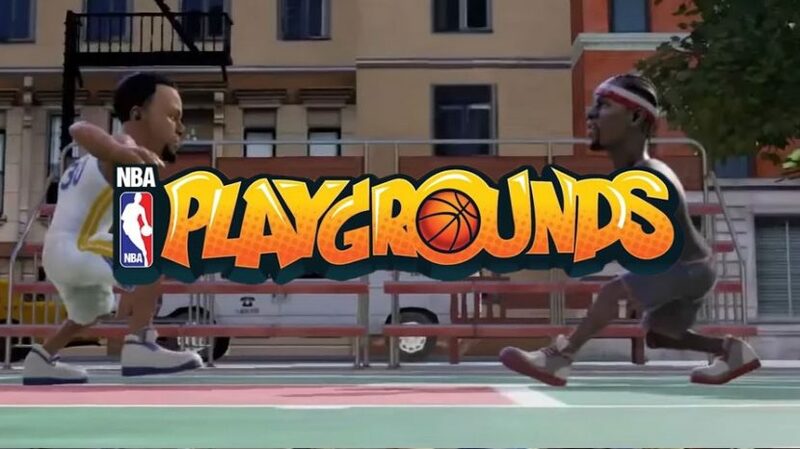 Playgrounds will apparently offer a mixture of modern-day and former NBA stars, and will support both local and online multiplayer. So that’s dope. There wasn’t a whole lot of actual gameplay in the teaser above, but I think I get the gist of it. As long as I’m able to posterize my friends, in my living room, by leaping 30 feet in the air and dunking right in their grillmixes, I’ll be happy. Plus… I get to play as Allen Iverson? I’m in. NBA Playgrounds hits the Nintendo Switch eShop next month, and it’ll run you $20. But if you’re good, you can hustle your friends for money and make it right back. For more degenerate journalism, subscribe to our podcast and shoot us a follow on Twitter.